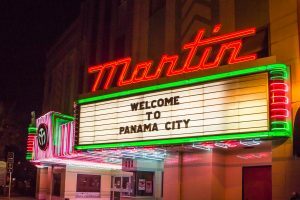 The Marina Civic Center is located in beautiful downtown Panama City at the end of Harrison Avenue. The center houses a 2,500-seat performing arts theatre, three 980 sq. ft. meeting rooms, a fully-equipped stage and industry-standard sound and lighting systems The Marina Civic Center serves as a front door for Bay County, attracting national touring acts, competitions and individual entertainers, providing a center for performing arts and cultural events, as well as box office ticketing. In addition to its performing arts capabilities, the Marina Civic Center is also fully equipped for conferences, seminars, and receptions for businesses and corporations throughout the region by offering the latest in audio/visual technology and catering. Beautifully decorated with newly landscaped grounds and free parking available on three sides of the building, the Marina Civic Center is located near the Panama City Marina, offers a panoramic view of historic St. Andrew Bay, and is just a short walk from downtown shops, restaurants, and art galleries. Originally incorporated in 1976 as a non-profit organization, Kaleidoscope Theatre has developed an amazingly large and diverse “family” of volunteers. Over the years, they have produced live performances of dramas, comedies and musicals for the people of Bay County. They are proud to serve our community and to provide a means through which the talents of local artists can find expression. Photo courtesy of Destination Panama City. Originally built in 1936, the Martin Theatre opened its doors as the “Ritz,” one of a chain of movie houses. Early memories boast visits by such notables as Clark Gable, Constance Bennett, Michael O’Shea, William Boyd and cowboy great, Bob Elliot. In the early 50’s, the Ritz chain was bought and renovated by the Martin family. The original marque was replaced with the one now gracing the facade of the building, and the cinema operated as the Martin Theatre until 1978. In 1978, the Panama City Downtown Improvement Board’s (DIB) H. Mack Lewis, Chairman, bought the vacant building. The DIB, with funding from the State, completely renovated the facility, turning it into the current state-of-the-art-facility. Since that time, the Greenroom was added, a 1,500 sq. ft. reception and meeting room. Although, made temporarily unusable by Hurricane Michael, the Martin’s programming continues on in various venues throughout the county. 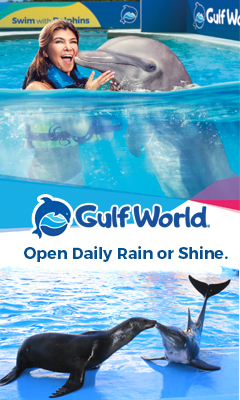 Visit the website for a full calendar of shows, events and venues, or call or come by our temporary box office at 501 Grace Avenue, Panama City, FL 32401 (850-763-8080). The Panama City Center for the Arts facility is a one-of-a-kind museum where art and culture flourish. The Center’s main mission is to bring cultural awareness and enrichment to our community by providing broad based educational experiences and quality performances that encompass the various multi-disciplinary art forms. The Art Center offers a variety of courses and workshops that foster a cultural environment for artists to learn, grow, and appreciate the diverse spectrum within Bay County. Through weekend and evening hours, the Art Center provides opportunities for people from all walks of life and schedules to visit and participate in the programs.